The finishing touch to any outfit, she'll want to wear this 9ct white gold bracelet every day. 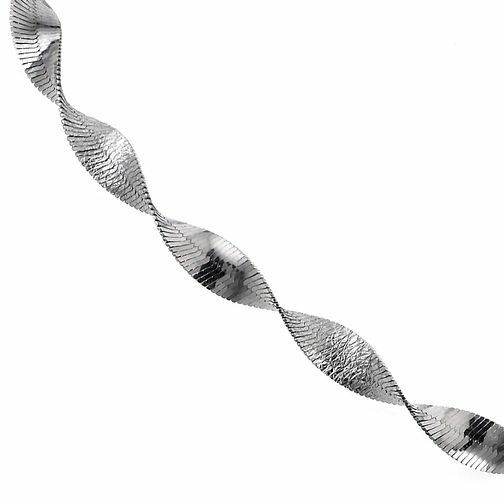 9ct White Gold 7.25" Twist Herringbone Bracelet is rated 2.0 out of 5 by 5. Rated 2 out of 5 by Anonymous from Beautiful but very delicate My boyfriend bought me this as a anniversary present - I wore it for the meal out and when I got home this had obviously broke as it fit perfect and I had lost it... so gutted as never even got to wear this a second time :-(. Just wish he had of read the reviews on here before buying it from the shop. Gutted! !